Measure a level of consciousness. Beyond a Curriculum Vitae, the assessment enables us to draw up a profile highlighting the DNA of the values ​​and abilities of the candidate, the person being coached or team member. The CV is no more than the specific illustration of some of his/her abilities. In HOVTA assessments, there are no right or wrong answers. It is about being as honest as possible with yourself to give yourself the best chance of becoming aware of your specificities and thereby identifying the environments that best correspond to you. Coaches and people being coached to facilitate and accelerate the coaching process by orienting it towards meaning. HOVTA is a tool that opens dialogue and explores trains of thought. It does not, in any way, replace human discussion. A value is a belief that strengthens the identity of an individual or a group. Values ​​structure the behaviour of individuals and organizations. They are the base of the shared ideal of the group. Vision and meaning stem from values. In this way, rules are expressed to organize the social life of the group. Values ​​ therefore define attitudes and desired behaviours within the group. Values ​​are the forces that direct our actions. They are our motivational drivers. Our value system is the personal compass that guides our perceptions, judgments, decisions, actions, habits and behavioral structures. Values ​​ influence our decision-making and actions. For individuals and groups, it is therefore a question of correlating our objectives with the values ​​expressed. Bringing our values to life though words and actions is called congruence. Congruence brings a sense of joy and fulfillment through meaning. Neuroscience shows that our brain unconsciously favours taking decisions and actions that enable us to experience pleasure and avoid pain. Values ​​are closely linked to our inner states, our emotions. When a value is betrayed or corrupted by ourselves or others, the individual or group will feel emotions said to be negative: anger, sadness, and fear. Feelings of unease or guilt may arise. Reactional behaviours will be expressed. Following the same logic, when values ​​are satisfied by meeting deep group needs, individuals experience joy, peace and harmony. The cohesion of the group is strengthened. Cooperative and positive behaviours are expressed. Individual and collective happiness is therefore closely linked to values. There are individual ​​and cultural values. They are “heart-felt” or existential values ​​that structure the identity of the individual and instrumental values, more superficial, i.e. negotiable and adjustable depending on the context. Values ​​are at the heart of organizational culture. Studies in social psychology have shown that unconscious organizational loyalties can exist and are based on specific principles. The good health of an organization depends on the recognition of its history, the place given to each of its members and the quality of exchanges possible within the group. Thus, the mission and objectives of a healthy organization are correlated with shared federative values. Develop belonging, integration and create a culture. Beyond skills, we understand the importance of recruiting team members based on shared values. 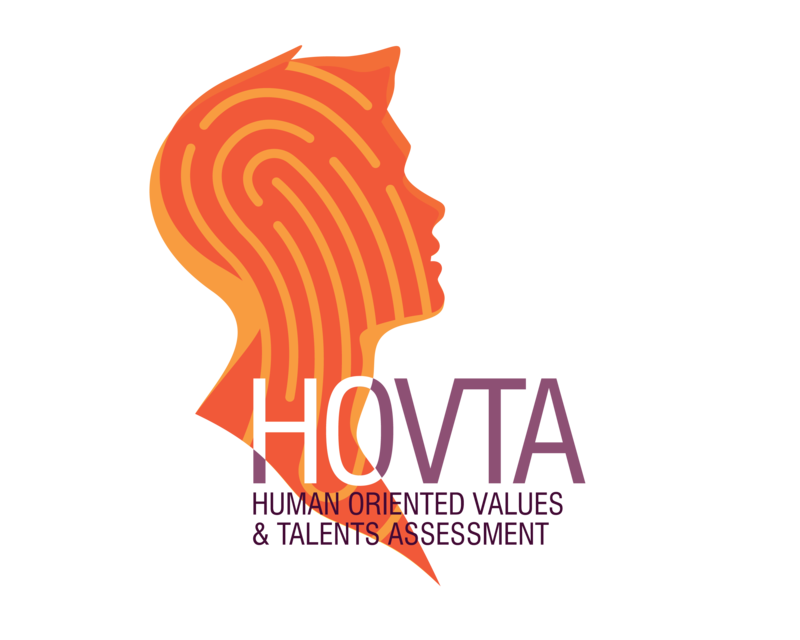 In the context of recruitment, human resources management, or the coaching process, the objective of HOVTA is to draw up a profile of the candidate, colleague or the person being coached in order to foster a lasting alliance, performance and accomplishment. A talent is an innate ability that can be expressed in the form of several skills. A skill is the specific expression of an ability or talent. A skill can be learned and improved. For example, a talent for adaptability can potentially express the skills of a crisis manager, a trainer or an expatriate manager. In the same way, organizational capacities could potentially express the skills of an event organizer, chartered accountant or project manager. A talent is recognized by others. Using your talents is simple, does not require effort and provides pleasure. In this way, knowing your talents opens the field of possibilities both professionally and personally. It enables you to position yourself within a company or define a project that puts the emphasis on pleasure and fulfillment. Over and above skills-based logic, reasoning in terms of talents enriches thought processes and opportunities. It is easier to identify those environments and roles in which you can be fulfilled. Knowing and valuing your talents is a strength in a career interview or job interview. In terms of human resources, managing talents makes it easier to imagine the possible professional evolutions within the company. Recruiting team members for their values and talents helps foster sustainable commitment to a company or project. This is a photograph of our priorities, put into hierarchical order, at the time of taking HOVTA. In the lowest orientations, we will find the physiological needs related to survival. In the highest levels, we will find the deep desire to make a difference in our life and serve a cause, a project or others. This mapping allows us to better understand our emotions and needs to identify what is essential to us in the period in which we are living. In companies, this allows us to understand our levers of commitment to foster dialogue and mobilize our talents. Revolutionize recruiting codes by recruiting on the basis of values, talents and skills. Obtain relevant indicators to provide diagnostic leads or hypotheses to implement suggested accompaniment, advice or training recommendations. The humanistic coaching model ® is an accompaniment methodology based on values and meaning. It helps to identify the values of the person being coached as well as his/her talents to draw up a project and a life rich in meaning. At IICH, we train in the model of Humanistic Coaching®. The assessment is included in the training. The coaches Certified in Humanist Coaching® can debrief on the assessment in their coaching process. Training in HOVTA indicator use is offered to enable trainees to debrief on the tool used in the context of an introductory psychotherapy or coaching interview. Do you want to be trained in humanistic coaching®? Would you like to integrate this tool into your seminars and be able to give and analyse HOVTA assessments?